This lady is the most amazing woman that I have ever met. I am blessed and thankful that I get to call her my momma. From the day I was born, she has loved me unconditionally. I have not always made life easy for her, but she has never stopped loving me. And to this day she is always with me. We don't live in the same state anymore, but this woman is with me everywhere I go. She is with me when I say ya'll. She is with me as I make my grocery shopping lists. She is with me as I sing and read stories to my baby girl. She is with me when the trees bloom and the flowers pop out. She is with me when I look in the mirror!!! She is with me when I am cooking or I am baking. I remember all the things she has done over the years for us. She is with me when I am making my favorite meals that she made for me growing up. She is with me when the Holiday's come around. I am just like her in so many ways. She will never realize how just alike we are. She is my mother.... She carried me around inside her belly for many many months. She was finally getting her baby girl and I was definitely a momma's girl. I might be 35 but I will forever be a momma's little girl. I have learned how to be a great mother from her. I have learned how to love with my whole heart and do it with the best intentions. I have learned how to cherish every moment God gives you and never take anything for granted. I have learned that life is short and you make the best out of any situation. We spent many nights making the best of the bad storms that rolled through Sulphur in the hallway of our childhood home. There were many memories made on the front porch swing that was at my childhood home... The memories make my heart full every time I remember something that happened growing up. To my amazing mother. Thank you for raising me with manners and with love. Thank you for teaching me all that I have gained over the many years I lived with you and dad. You are an amazing woman and I have always loved you more than words could ever say. You are my hero momma and I am so thankful God chose you to be my momma! Have a wonderful Mother's day momma and I love you more! Thanks Callie. It is very interesting to see how other countries celebrate this day. In Mexico it is a different day as well so I have learned to celebrate 2 at our house with my husband being Mexican. I hope you had a great weekend! When is your mother's day? 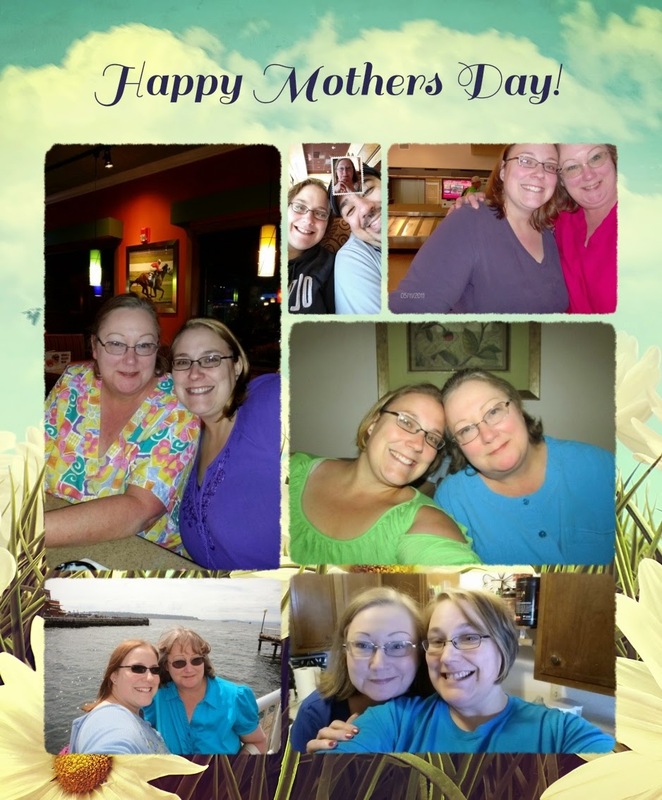 What a sweet post to honor your mother, Michelle!